Remember the days when high-tech presentations were limited to overhead projectors and transparency sheets? Today, technology has led to the creation of a wide variety of presentation tools such as document cameras. 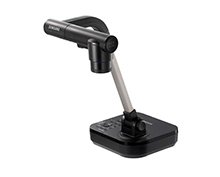 Also known as visual presenters or Elmos (although Elmo is a specific brand name), document cameras allow educators, courtroom attorneys, or anyone who wants to give an effective presentation, the right tool to do so. Document cameras are extremely easy to use and require minimal set-up. Read below for more information on how to choose the perfect document camera option for you. How do you want your presentation to be viewed? Depending on how you want your presentation or lesson to be viewed, you'll need to consider output connection types when shopping for a document camera. This is the most common display method. The projected image is usually large enough for a number of people to view it comfortably. 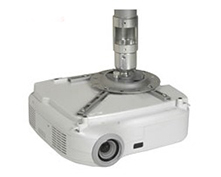 Document cameras with these outputs can be connected directly to a display such as a projector or monitor. Document cameras with USB outputs are usually the least expensive ones but must be connected to a computer. These document cameras are usually the most expensive but are also the most popular because they offer users the most flexibility. Document cameras with a USB output usually come with software that enables image capture and recording to the computer. Some document cameras even include presentation software that enhances usability. Document cameras cannot be connected directly to interactive boards, only to a computer or display device. Should My Document Camera be Portable or Fixed? Tend to be larger in size. Usually have a light box for x-rays, negatives, or slides. Great for using on a stage or in a classroom or library. Generally full-featured with a variety of options, such as more optical zoom. Have a flexible neck (gooseneck), which can be folded easily for portability. Greater mobility than fixed installation. Available in basic to fully-featured models. The resolution of the document camera you choose will determine the quality of the image that is shown. It is important to match your input resolution (document camera resolution) with your output resolution, whether you are using a data projector or a computer monitor to display your image. Frame rate is the number of times the image refreshes per second and is often referred to as fps (frames per second). For example, a document camera that refreshes 30 frames per second will have much smoother image display than one that refreshes 15 frames per second. A document camera with 30 fps is desirable. What kind of zoom do I need? No degradation in quality of image. Option may be more expensive than digital zoom. Less expensive than optical zoom. Do I need to worry about lighting conditions? Many document cameras are equipped with lights that allow you to brighten the subject and dispel shadows. The type of lighting you need will depend on the room in which you plan on doing your presentation. In a bright, well-lit room, lighting may not be needed; however, in a dark room or room with uneven lighting, sidelights can be used. A special type of light is a backlight, which allows you to use transparencies, X-rays or slides. Do I need image storage? A growing number of document cameras and visual presenters allow you to capture and store images for later use. Some more elaborate presenters use memory cards for storage, but most utilize internal memory that can later be transferred to a computer.